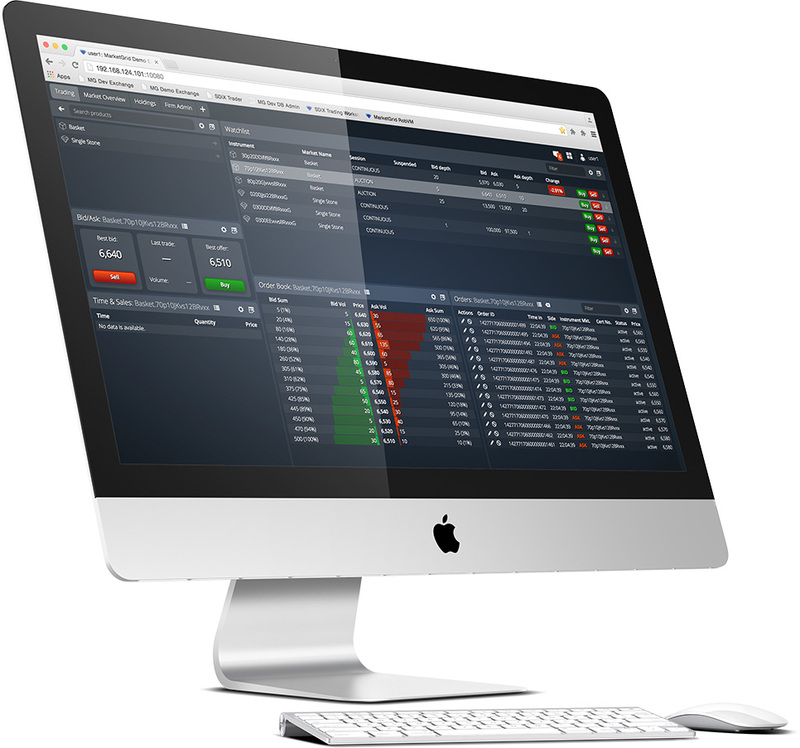 MarketGrid is the new generation of exchange and broker trading infrastructure, designed from the ground up to take advantage of advances in hardware and operating systems. Next generation matching engine and communications infrastructure. The power of full exchange technology, flexibility and pricing efficiency. We offer an exchange-in-a-box for both sell-side and exchanges, with sophisticated surveillance, compliance and audit capabilities. Our technology is not only the fastest available today, it’s also endlessly flexible and easily tailored to any situation, from a physical diamond exchange to multi-asset broking to high-speed trading applications. The MarketGrid matching engine is fast and flexible. It can handle upwards of 190,000 orders per second with latency of less than 4 microseconds on a round-trip. Read more about our matching engine here. Because it’s completely integrated with tick capture, surveillance and compliance functions, it provides the most seamless trading environment available today. MarketGrid is ideal for internal venues, providing the power and structure of full exchange technology without the hefty price tag. Pre- and post-trade checks, real-time monitoring, analysis and reporting are all available on one seamless platform that can be developed and deployed quickly and cost-effectively. MarketGrid offers all the functionality needed to launch and run a trading venue, right out of the box. Its surveillance technology can keep pace with most sophisticated participants while providing real-time alerts and analysis. The system manages risk from pre- to post-trade through integration with the world’s most powerful database, kdb+. MarketGrid offers algo testing facilities using the full depth of real market data across unlimited venues each emulated in its own matching engine, at real speeds, creating real interactions. Importantly, client algos can also be tested within this environment without risking valuable IP.